I started working with my father, a house builder in Winnipeg, when I was 9 years old. He encouraged me to start designing houses when I was 14. As I was growing up, I worked in almost every facet of construction, learning from the trades, rather than from a book. By the time I attended university, in Environmental Design, I had already had a successful design practice for many years. After leaving university I graduated into much larger projects. During my career I have designed over 2700 custom houses, several thousand builder plans, that were also copied and built repeatedly, more then a 100 multi-family projects, numerous apartment buildings, motels, hotels, malls and subdivisions. Later on I began to specialize in the design of faster and more economical building systems; light-gauge steel stud systems for mid and high-rise buildings, structurally insulated panel systems (SIPS), low-cost housing for needy families and emergency shelter replacement. Over the past 22 years I have been concentrating on environmentally friendly sustainable architecture in Canada and Costa Rica. More than any particular style or expression, creative flexibility is fundamental to the designing a home. Each design results from the blending of the unique qualities of the site, and careful attention to the requirements and dreams of the individual client. The active collaboration with the client is required to balance need, desire, context, concept, detail and budget. The end result will be the culmination of all the above poured into an artistic form pleasing to the eye of the client and the environment at large. All designs shown on this site are exclusively those of Michael. If you would like to consult with Michael to discuss designing a home for yourself either in our project or where ever you may already have property you can contact us through the comments section below which of course will not be publicly posted or call 6041-0718. 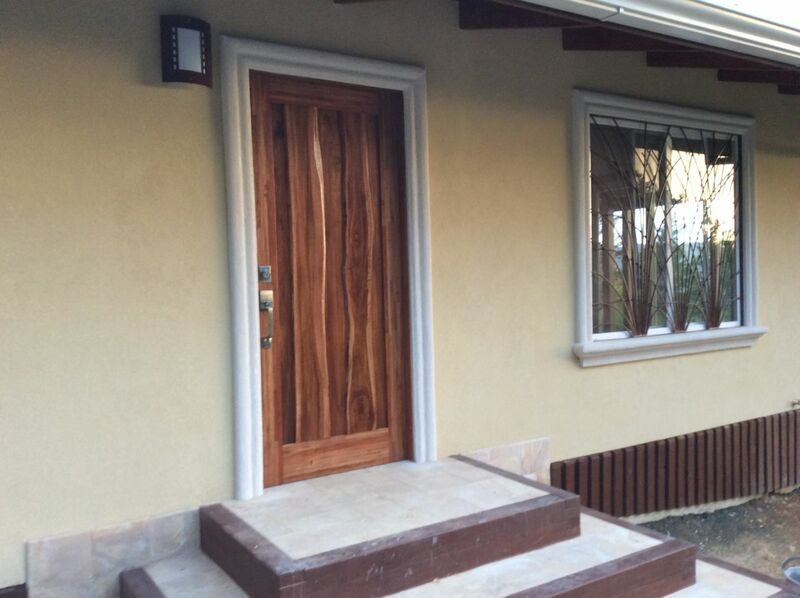 We do work alongside and have done so for 13 years, a Costa Rican Architect, Oscar Villavicencio, who is registered with the College of Engineers and Architects. After your design is completed by Michael then that design is forward to Oscar who will prepare all the working drawings and complete your permitting processes as required. Here is just a small example of designs created by Michael going from modest homes up to unusual mansions. 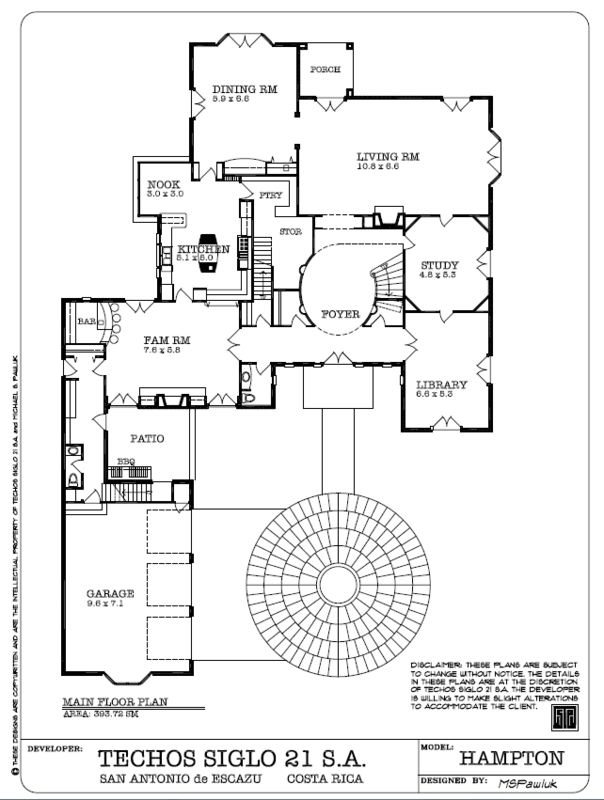 Additionally of course the designs in the Model Homes section are all his designs as well. Where ever you see a blue link below the drawing that is a PDF that you can download and print or blow-up on your own screen to view at your own convenience. Thanks for all your work in assisting us with our project, you guys are lifesavers! After three years of struggle with other contractors, it´s hard to believe that our dream is finally becoming a reality. Michael´s designs helped us get the most out of the space that we have–essential for us as a restaurant. The layout of the kitchen in particular is far more thoughtful than previous contractors had presented us. It was a constant battle between us and the previous architect not considering the needs of the heart and soul of our business. Michael knew exactly what we needed and translated that into a blueprint that is both functional and aesthetic. Everyone continues to be impressed with the quality and how quickly the work is done. If we hadn´t come across you guys it´s painfully clear we would have had a life-long supply of headaches down the road. Relatively simple things such as vents for the plumbing system were left out in previous contractor´s designs. Our roof was leaking from the beginning but was fixed immediately upon the team´s arrival. The knowledge of materials and construction practices sets you guys apart. We also appreciate Mr Oscar Villavicencio´s assistance and counseling in providing our restaurant with a gas system that will end up saving us 40% on our gas bill. The difference between what we see now and previous contractors is like night and day. We are grateful beyond words for providing us with a building that is efficient, functional and looks darn good! Steffen you are most welcome. Your comments are truly appreciated. Michael and I have indeed enjoyed working with you and your family to help you bring your dream out of what has been an ugly battle down in the trenches up into a pleasing reality. The enjoyment of being a part of that mission goes way beyond just the business of construction. Michael is a very talented designer, with so much experience in design at many levels. He can solve a Master Planning problem with the same grace and elegance that he can solve a design issue in a residence. The ability to design at different scales of a project is something that not every designer achieves. At Arquitécnicas S. A. we are honored to be part of his team by providing engineering plans and all the permitting process needed to make Michael´s designs become a reality. WE work with our Tico partner Oscar who is licensed with the CFIA who does all the working drawings and permitting process for our clients where ever they may be. This is now a 13 year relationship so hardly casual and to say the least we are well established with an excellent working situation. To date I most certainly have not found anyone more competent than Oscar. Michael/Trevor: I am interested in your model home designs. 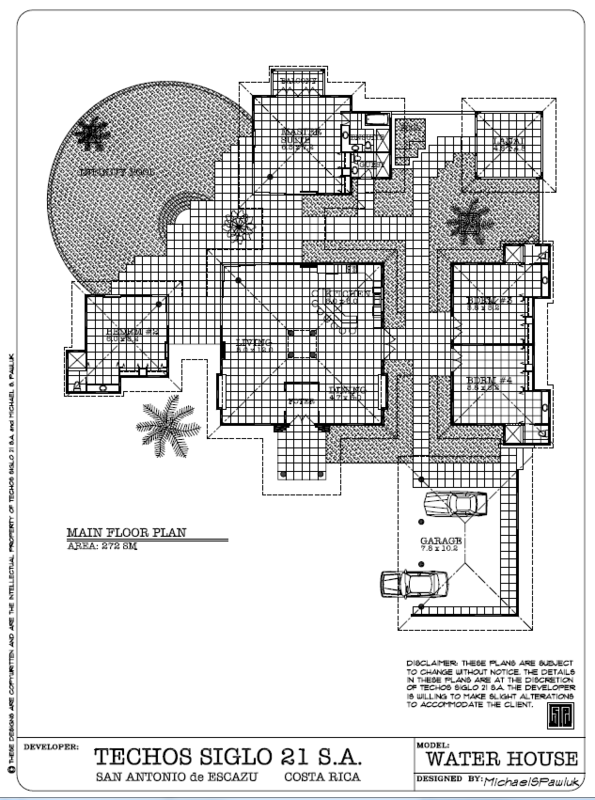 Is there any way that I could receive additional home designs (1500 sq. ft main floor to 2200 sq Ft.) to look at as we have a 1 1/4 acre lot at Playa Lagarto in the Guanacaste area and would like to build a model home in approx. 2 years time, so at the present time wanting to look at potential house plans to give us an idea of what type of home we would like to build in Costa Rica. We will be in Costa Rica (Guanacaste area) Dec 1 to the 13th, maybe we could set up an appointment to look at model home plans, possibly. How did you find our site as we like to know what is working and what is not in order for people to locate us. I would suggest we get some basic parameters and ideas set prior to your arrival here in December so that this phase is in progress. When here we have to see your lot with you as once again the post I previously mentioned is a vivid example of how critical it can be for a real designer to actually be on site in order to create a dream home for anyone. It is all about harvesting any special features of your property as well as diminishing negative ones then marrying those up with what you want your home to look and feel like. Good to hear from someone from my back home territory although going quite a ways back now after 13 years. Trevor: Where are you and Michael located–in San Jose. As stated in previous email, we will be in the Papagayo area Nov. 29 to Dec. 13. 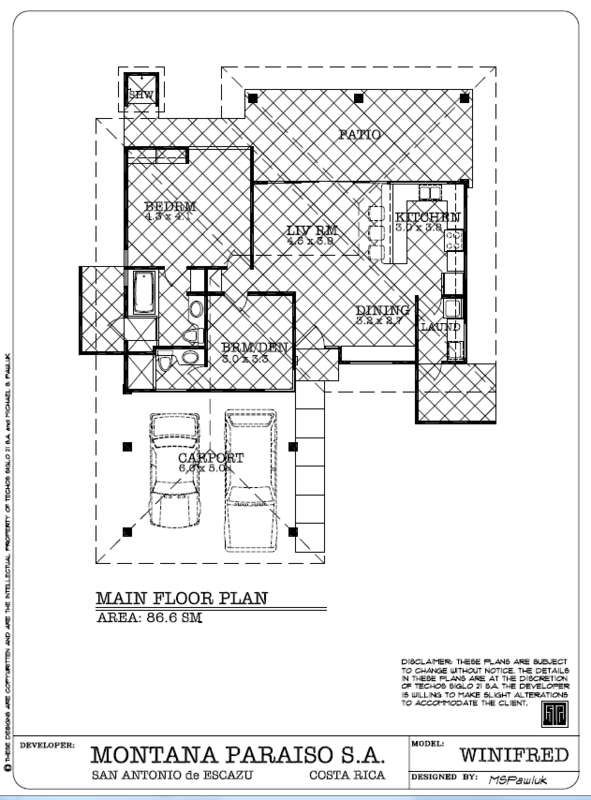 We have a small idea of what we want in a house but would like to see the property first. We meet with the development contractor on Dec. 10 for the Playa Lagarto development. We can hire our own contractor for house construction, we don’t have to build with the development contractor. We would still like to meet with you, during our stay, if possible. If this would work for you, provide us with a couple of dates that would work to meet with you. Drop us aline at the email above: gj.hirsch@shaw.ca and hopefully we can get together. Take note today I put up a Post that you can of course find in the Posts section, which is in the top right corner of the sidebar of each page, this Posts demonstrates issues and concerns with regards to the Hidden Problems that can occur in the Design phase. This is a fairly long post of a couple of pages that outlines a recent experience we had with a client that came to us for roof materials that had a horrific fatally flawed design. If you are considering a design or entering into such this will be worth your while to read the experiences of others and how such demonstrates cautions that the consumer needs to be aware of for a successful construction of your dream home. Hi Michael and Trevor We are buying a lot at Matapalo beach overlooking the rui hotel in Lomas Del Mar and want to meet with you sometime to possibly build our green home. Do you have some bali style home plans 3-4 bedroom 2-3 bath pool we like one story but have a narrow lot. We will want to build end of next yr possibly. And would like to meet sometime in Dec if available. I am living in Coco Beach at a rental house now. Thank you my cell is . Or email me thank you Janice Michels. Janice a real pleasure talking to you today and getting acquainted with what your dream home at Mata Palo would be like. The discussion about all the problems you have in your $600,000 rental home is a sad testament to housing standards in Costa Rica. Price most certainly is not a comfort as some of those really expensive homes are just a huge example of all the bad I see in many homes. Until we get together to start your design. I’m the friend that Terry Peterman was referring to. I am currently in the Brasilito area. I am very interested in your building system and would like to come for a site visit if you are still in Playa Grande. No I am currently no where near Brasalito as I live in Escazu. However with that said I have to come meet with clients who are in from Toronto this week or weekend just trying to get things organized as I have 4 clients in country at the moment so a lot of balls are in the air right now as to my schedule. It would be easier if you send me a phone number you can be reached at as well to aid in setting things up as well as to have a chat or otherwise we use skype a great deal as well assuming you have internet access. Either way tell me a bit about yourself. Please provide tropical new small homes with poo,and prices. After our three hour conversation on Skype I told my wife “If Trevor builds a home for us” we must back off and let him do his thing. You are obvious a perfectionist who knows his business, you won’t have any problems with us questioning anything during construction, should you decide to build an eco home for us. Hope to meet up with you in May at your Uvita storage location. I live in Panama. We want to build a house closer to the airport, about 1.5 hours drive from the capitol. 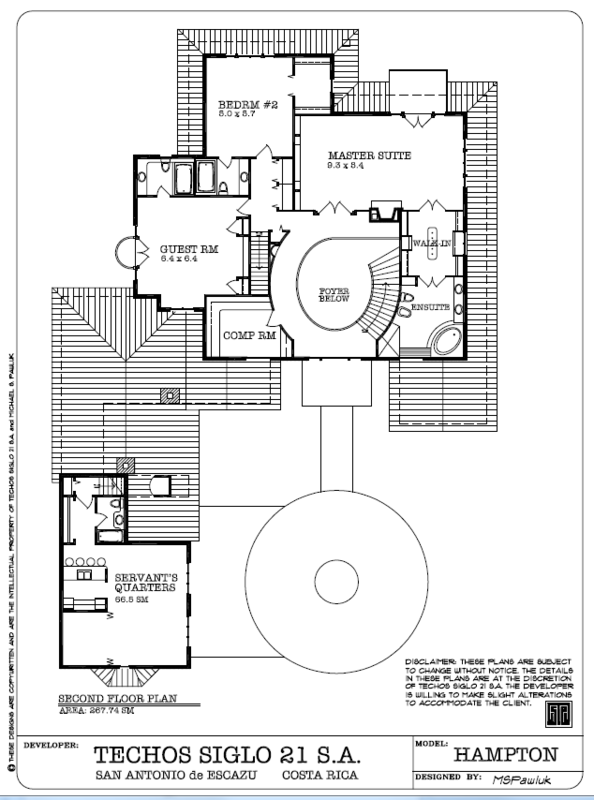 I’m looking for somebody who can do some simple sketches for a floor plan with front, rear and side elevation views. It of course needs to be in metric and Spanish. we are doing the standard construction, 4″ block with re-bar and a metal roof. The house is two story, gable ends. all windows are louver type and need to be protected from the rain.